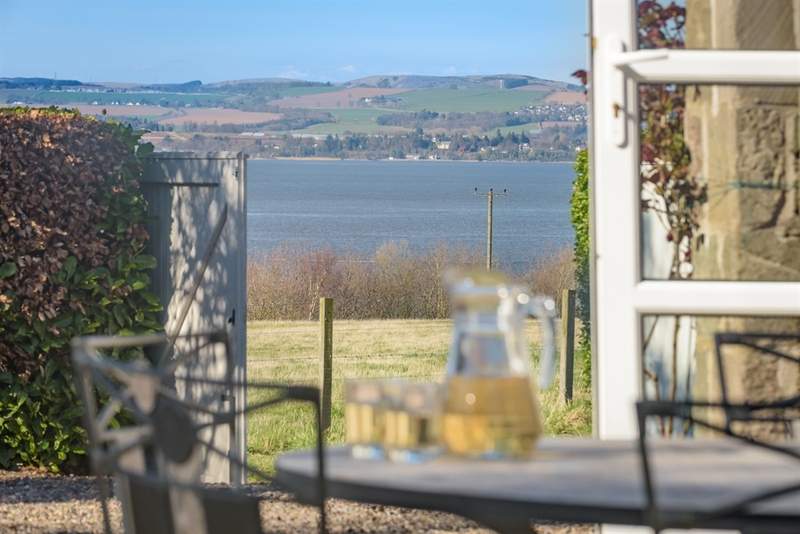 Welcome to Auchenblae, an idyllic country cottage with private garden and uninterrupted views over the River Tay. 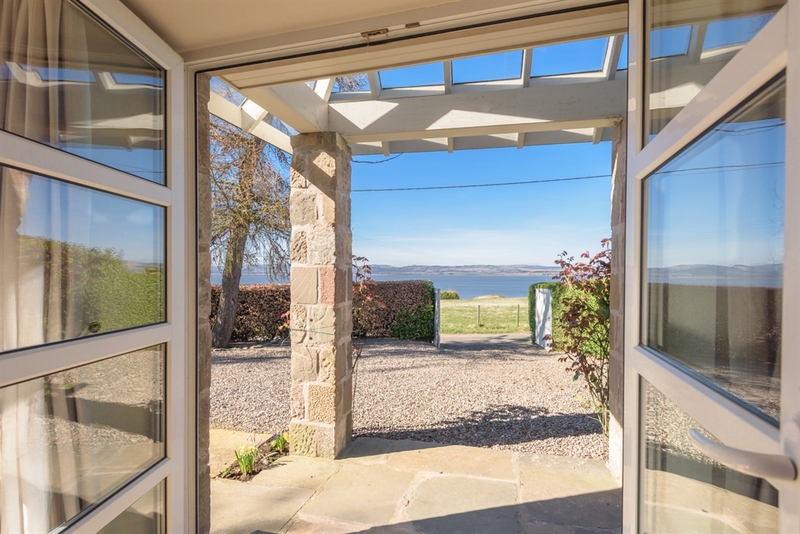 Equipped and furnished to a high standard Auchenblae offers a home from home. 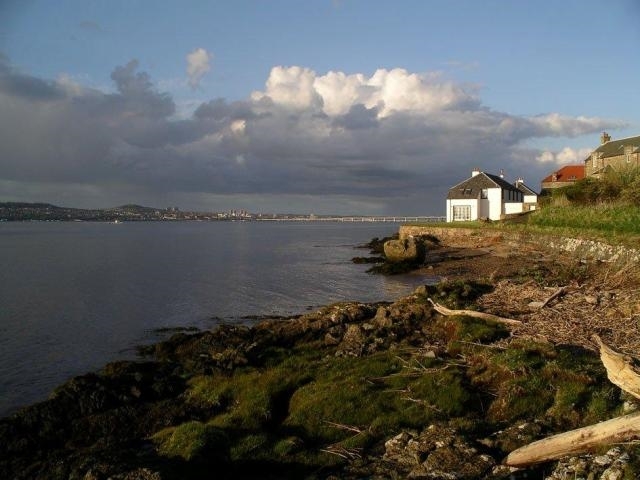 Paradise for golfers, walkers and outdoor enthusiasts. 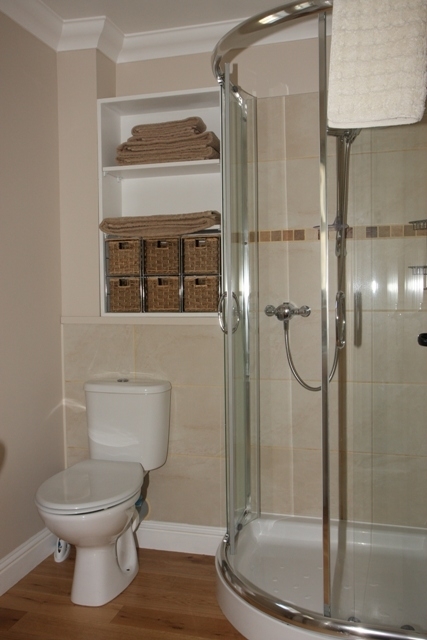 Accommodation: 2 double bedrooms, 1 twin bedroom, sitting room, dining hall, kitchen, shower room, en-suite bathroom. 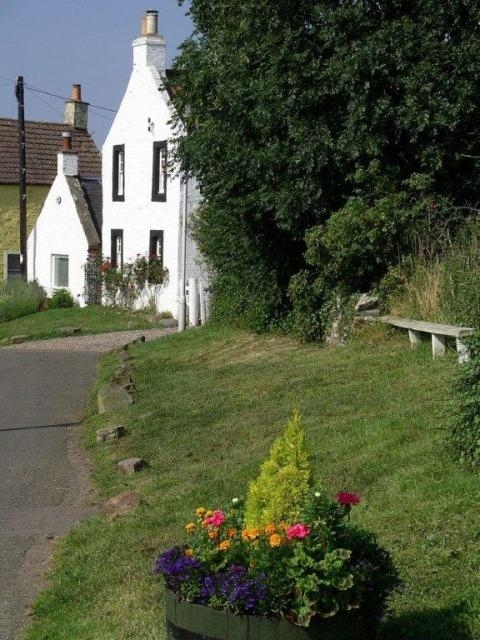 Auchenblae is a lovely stone built cottage nestling in the pituresque hamlet of Kirkton of Balmerino. 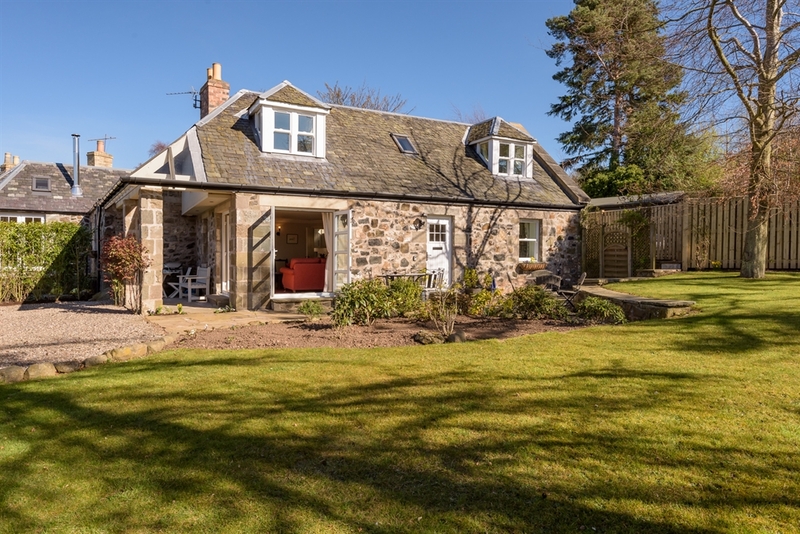 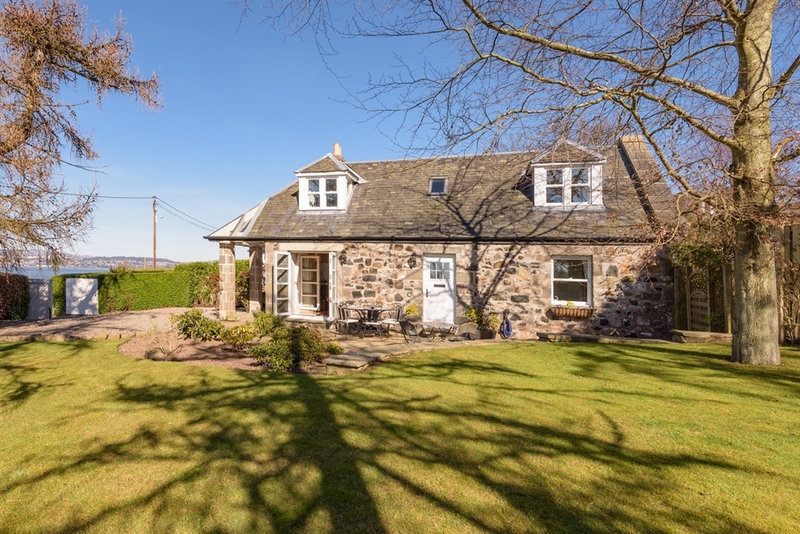 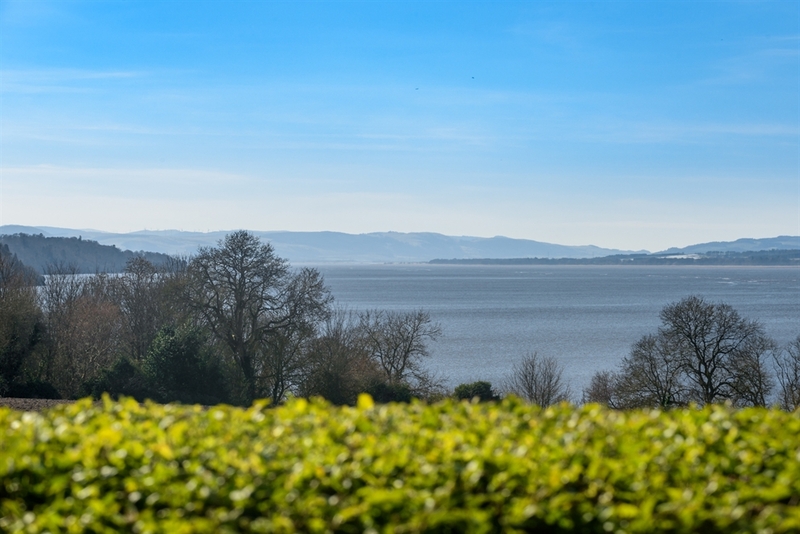 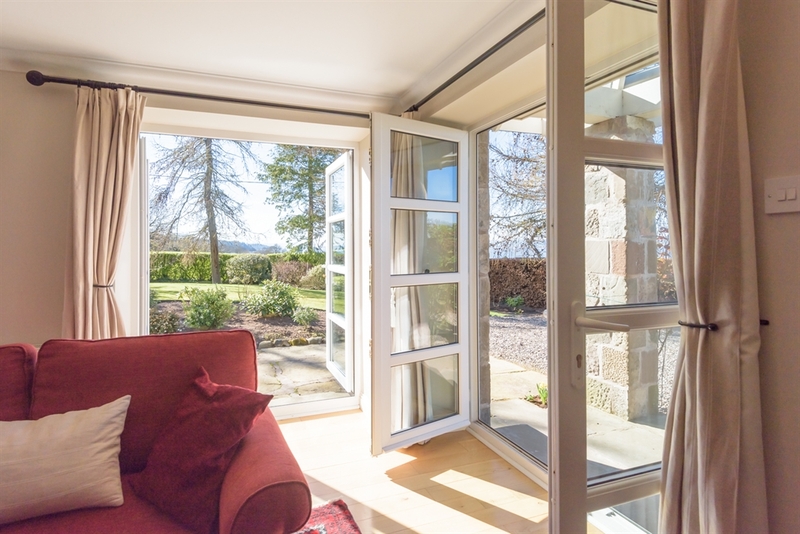 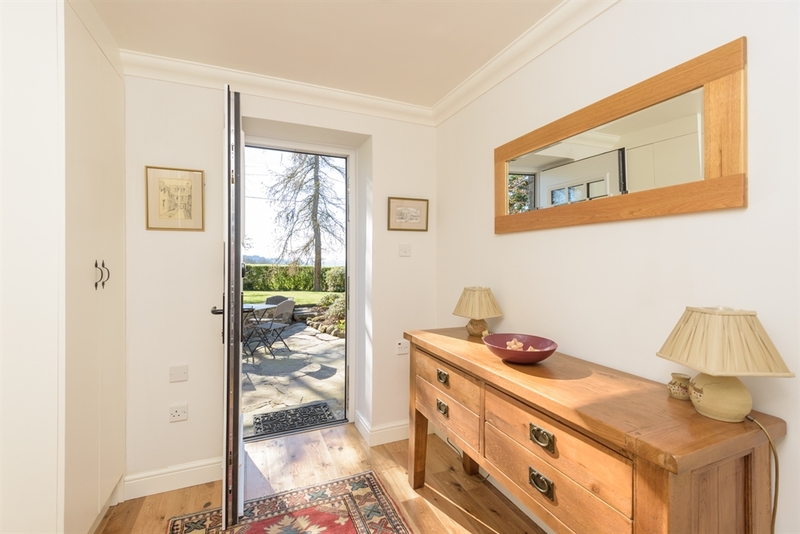 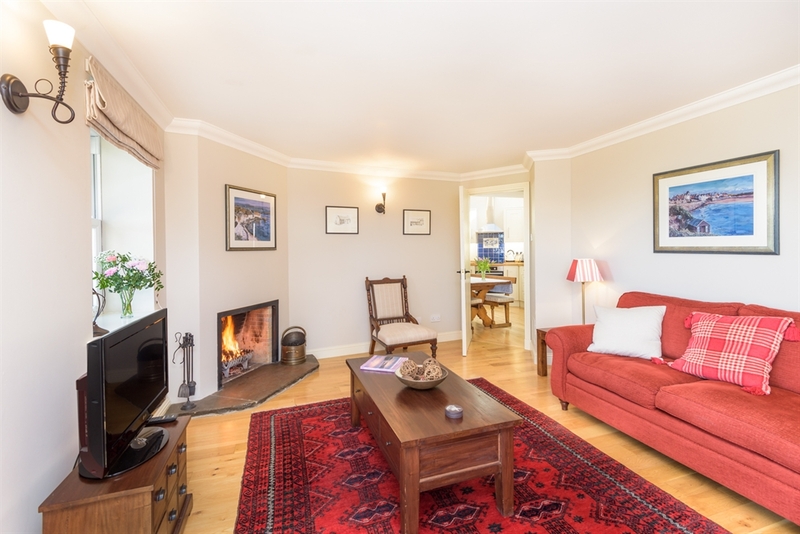 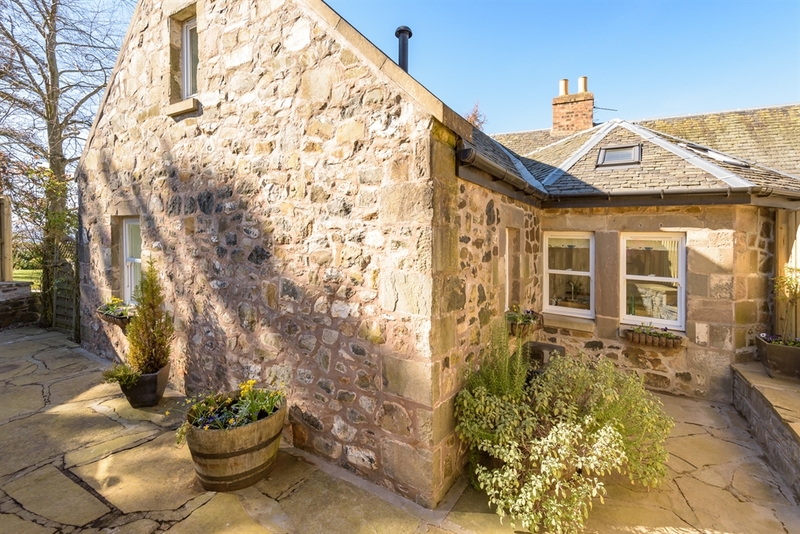 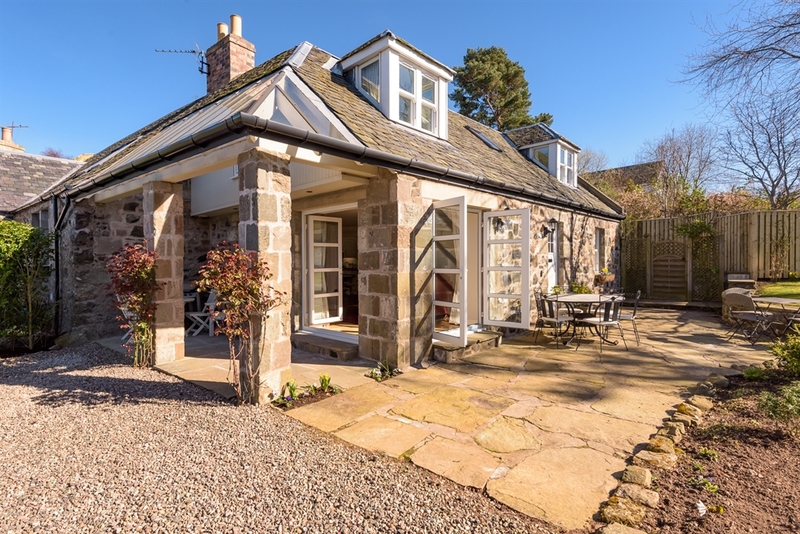 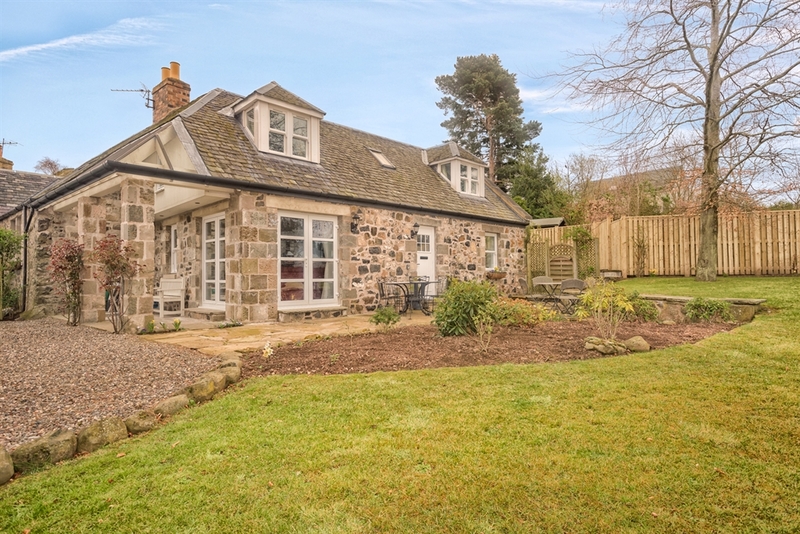 It has an enclosed private garden with BBQ and covered veranda from which to sit and enjoy the outstanding views over the River Tay to the Sidlaw hills beyond. 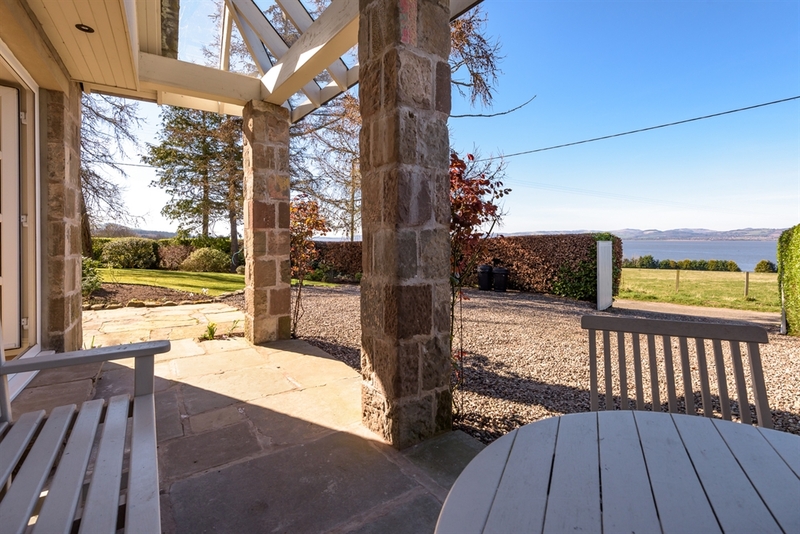 There is a another patio area to relax on sunny days and soak up the views. 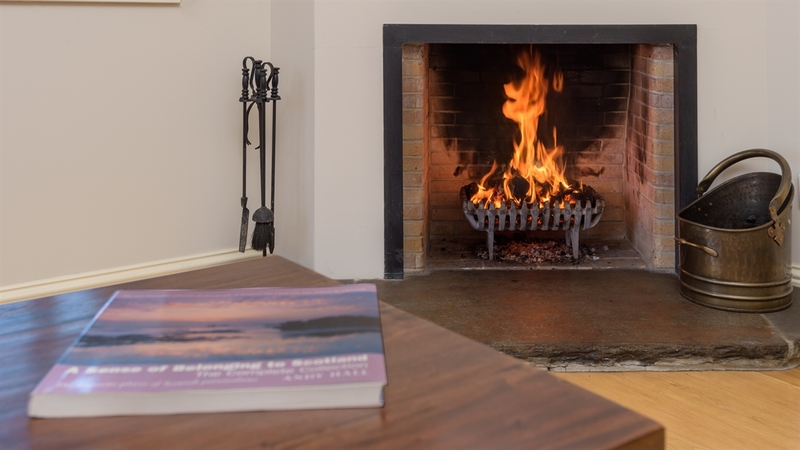 Auchenblae is also stocked with a selection of DVDs, books, games and CDs for rainy days or when you just want to sit back and relax in front of a roaring fire. 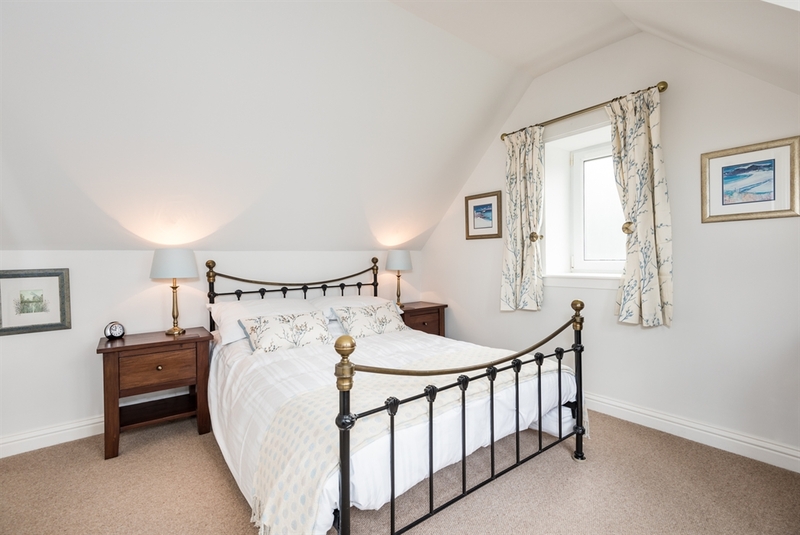 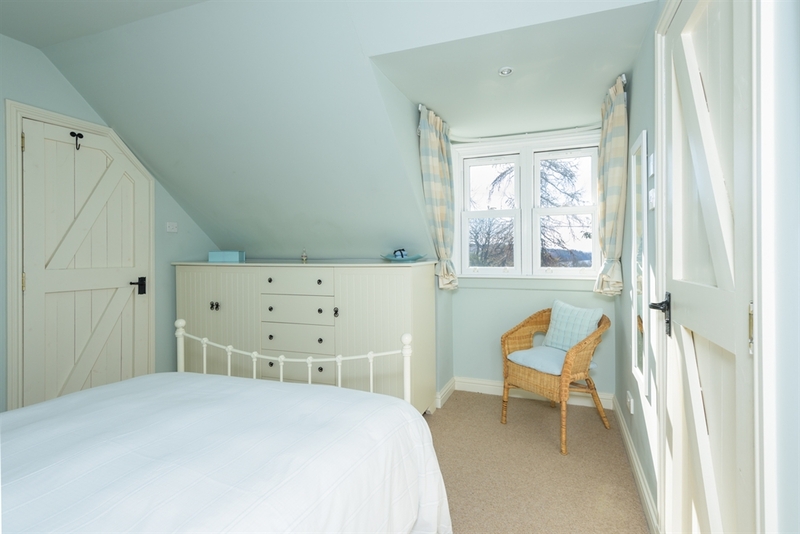 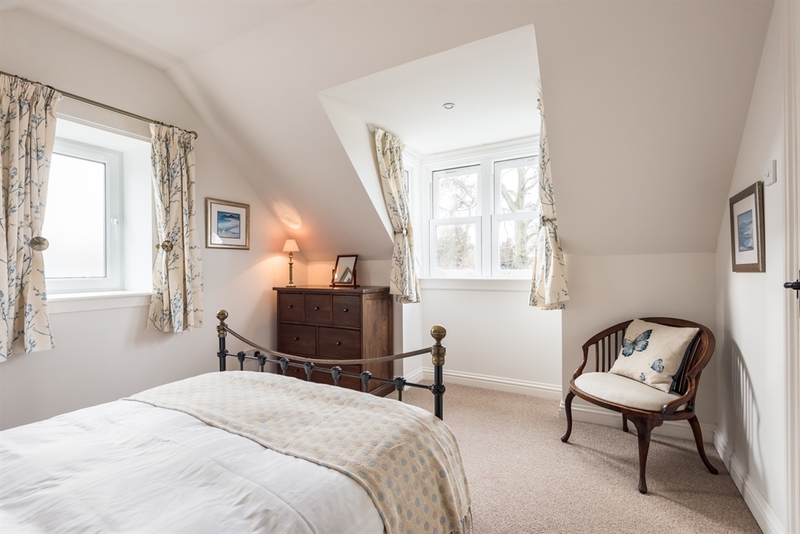 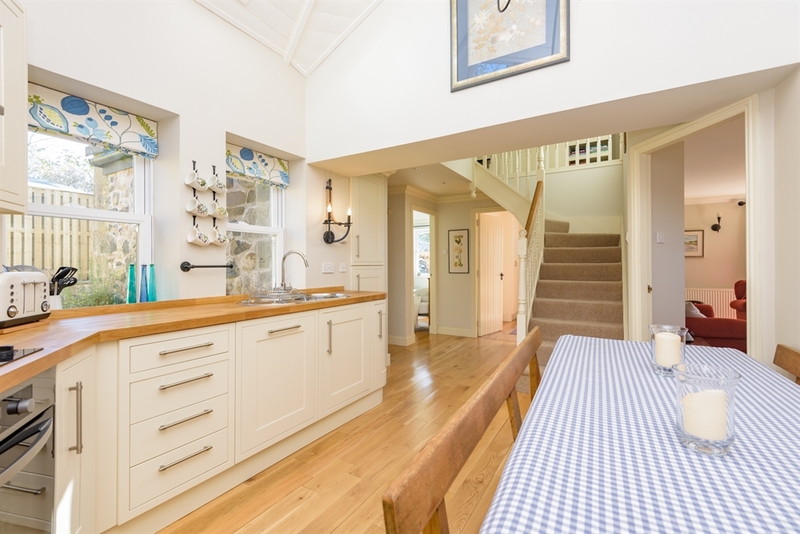 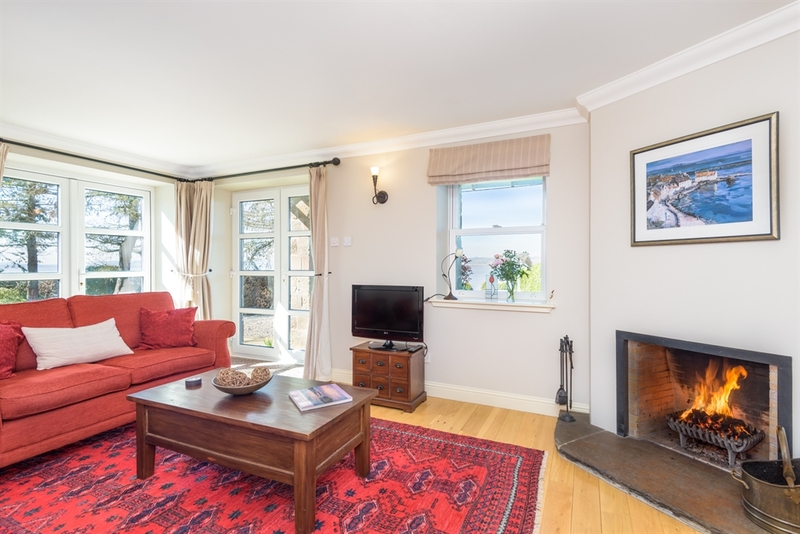 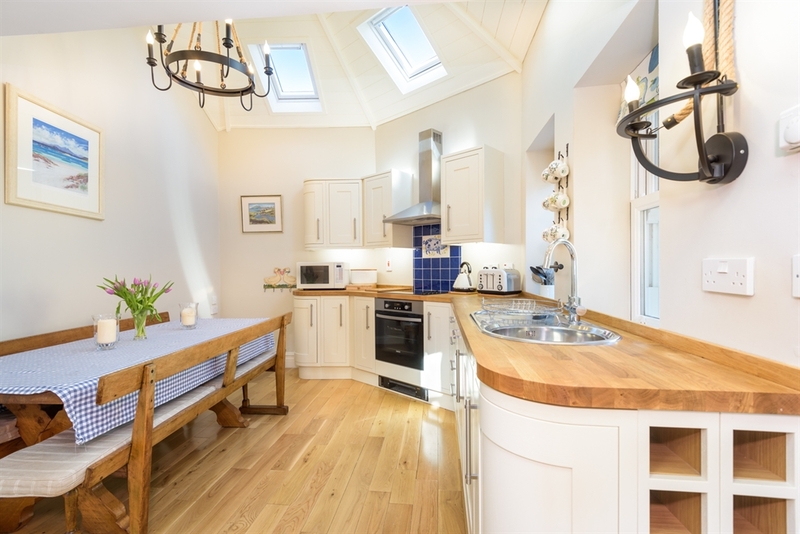 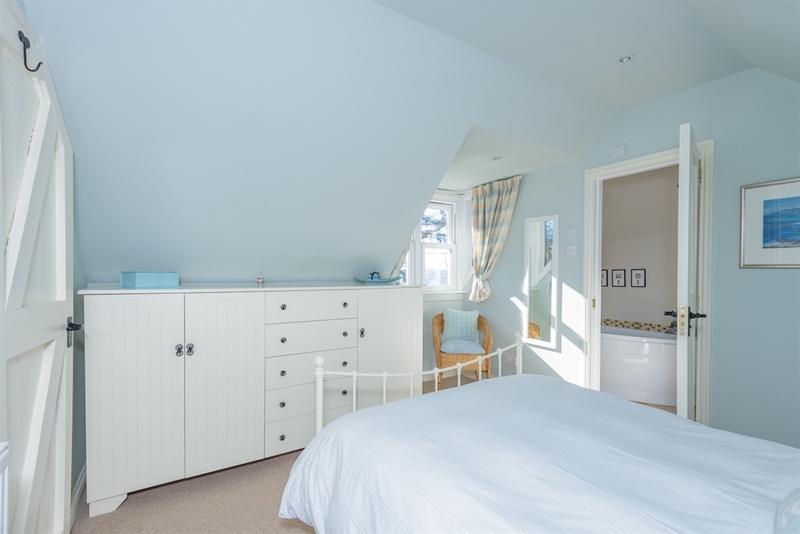 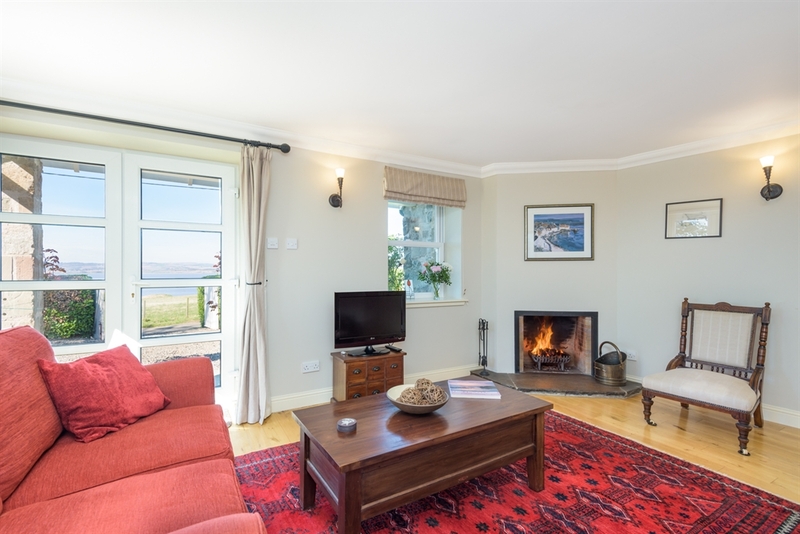 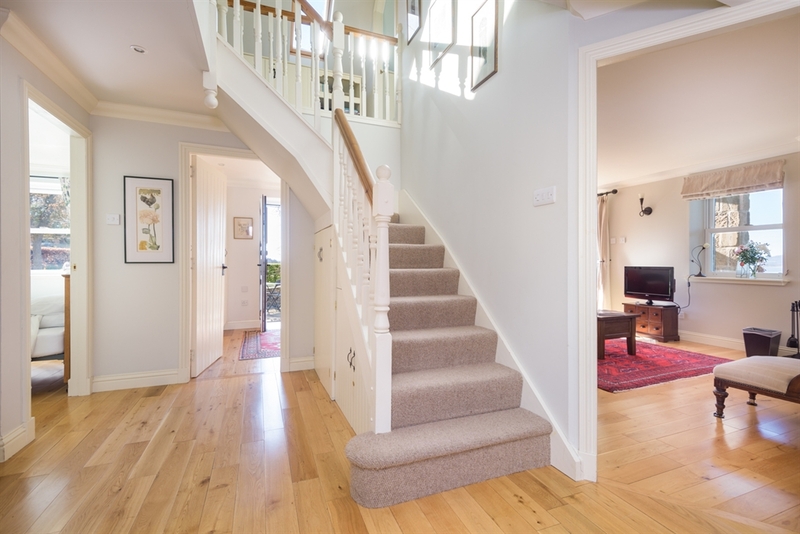 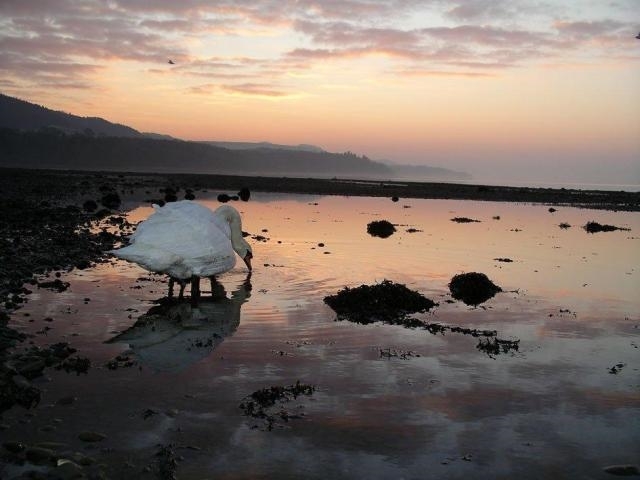 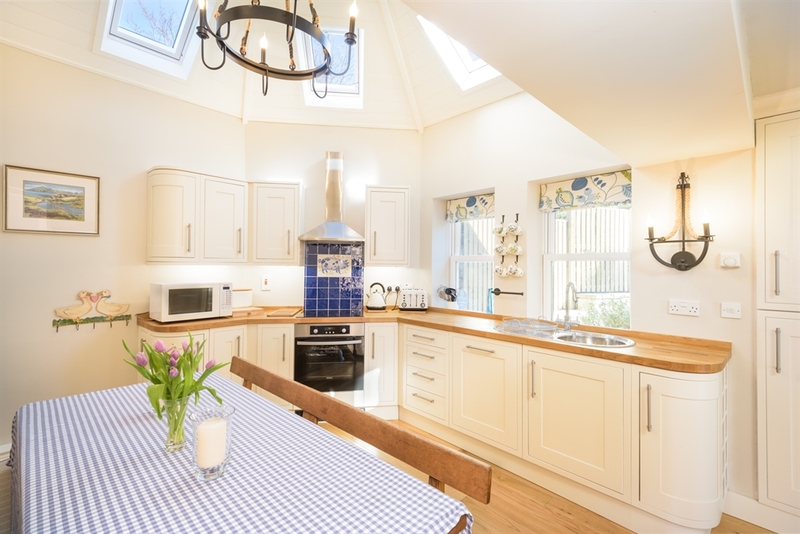 The cottage is furnished and equipped to a high standard and provides very comfortable accommodation over two floors. 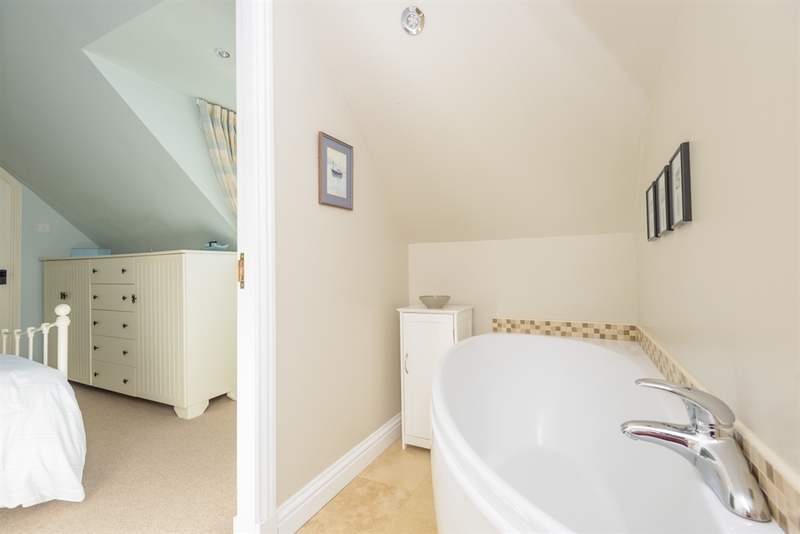 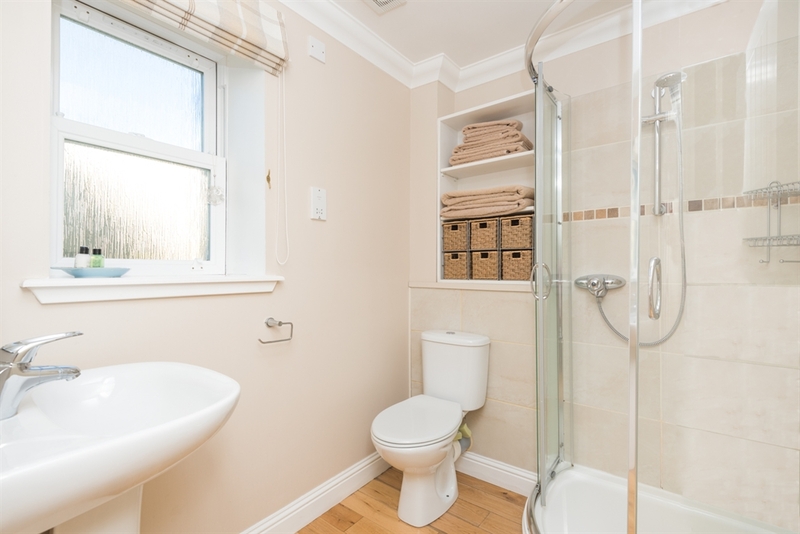 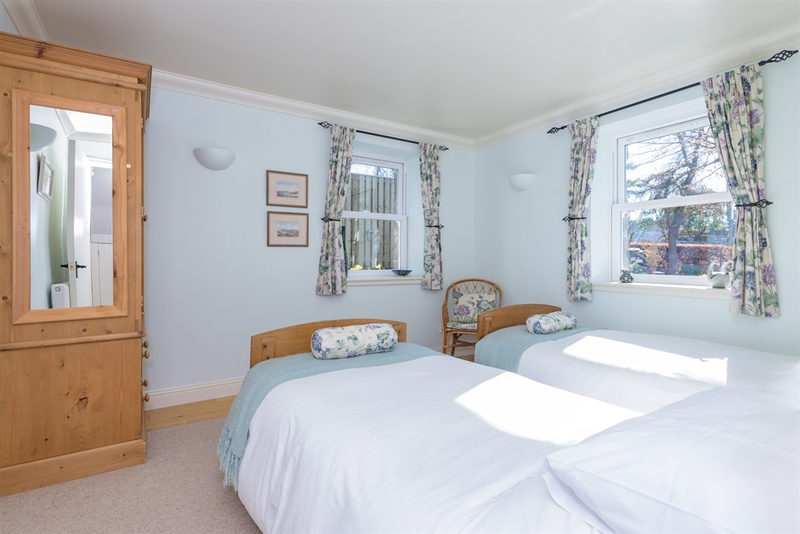 The twin room is downstairs with adjacent shower room and the double bedrooms are upstairs. 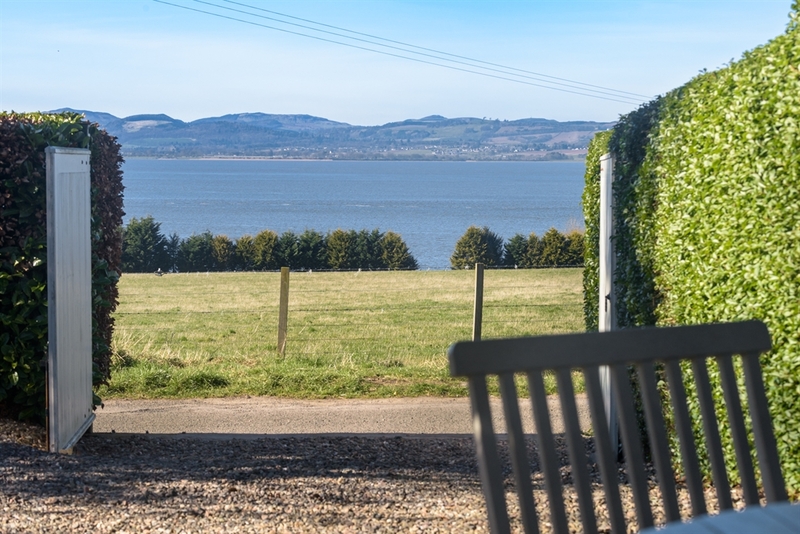 All rooms have a wonderful outlook over the garden towards the Tay. 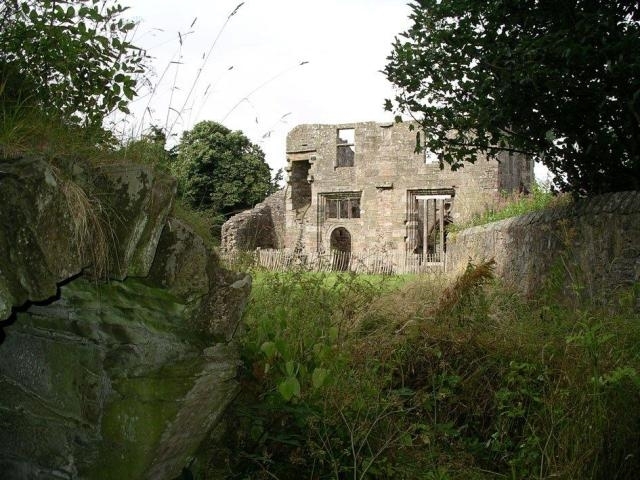 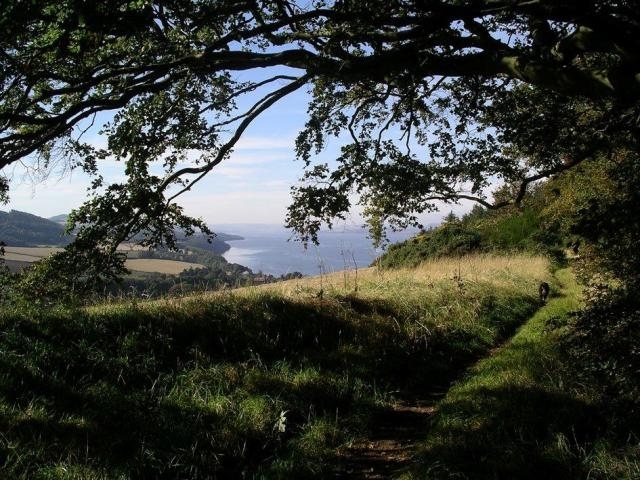 Auchenblae is ideal for walkers and cyclists, with woodland paths, riverside walks and beautiful scenery at every turn. 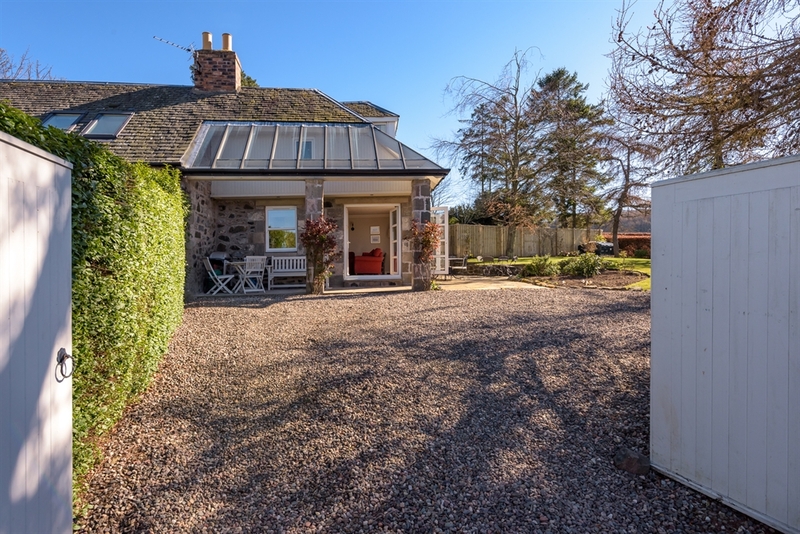 Golfers are spoilt for choice with the famous Old Course in St Andrews just a 20 minute drive. 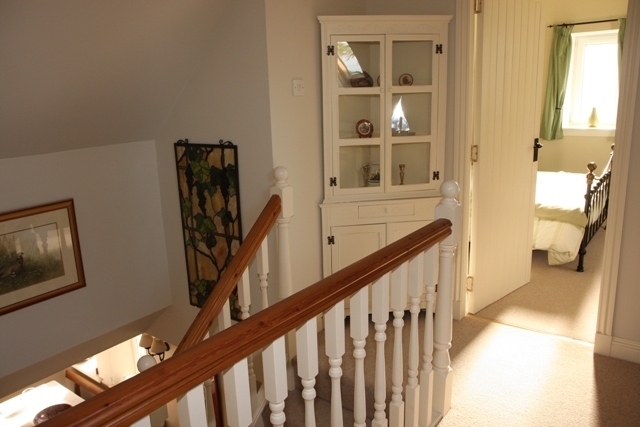 In fact there are 8 clubs locally, within a 20 minute drive and they all welcome visitors though green fees vary. 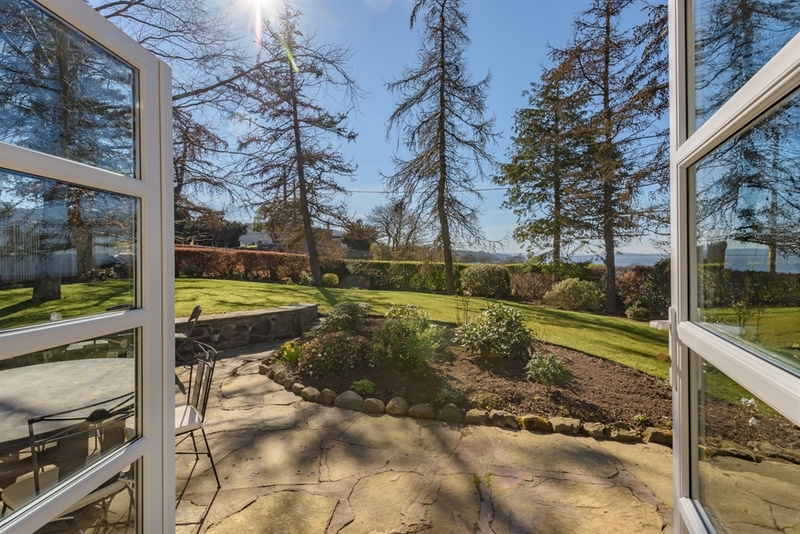 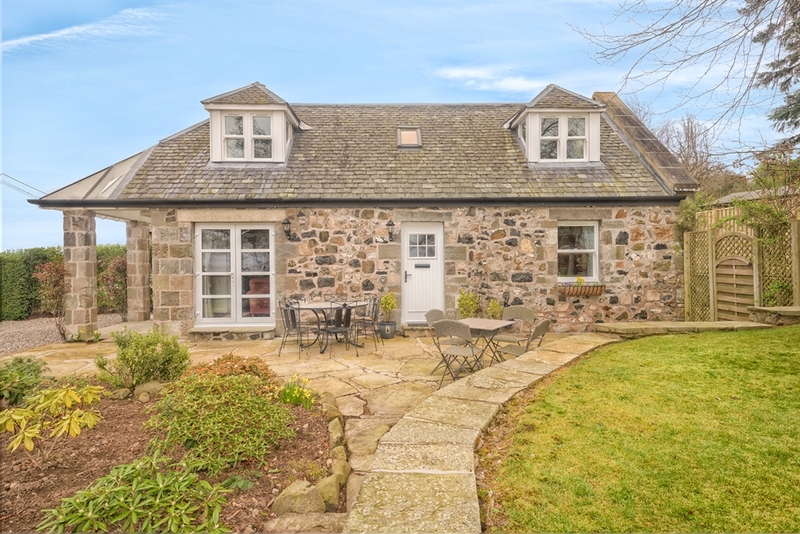 Auchenblae is in a very secluded and tranquil setting, however, if you seek the hustle and bustle of city life, Dundee can be reached in 15 minutes. 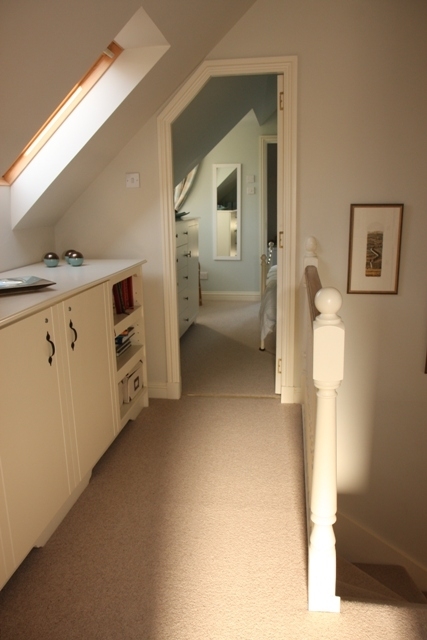 This is the closest centre for any major shopping. 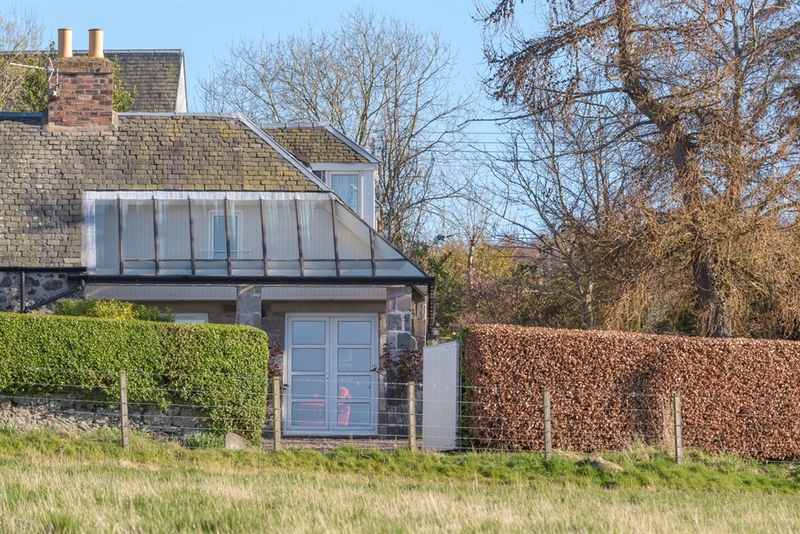 Gauldry, which is 2 miles away has a small shop and post office and Newport which is about five miles away has two grocers, a hairdresser, chemist, doctors' surgery, three coffee shops, gift shop, Chinese takeaway and chip shop. 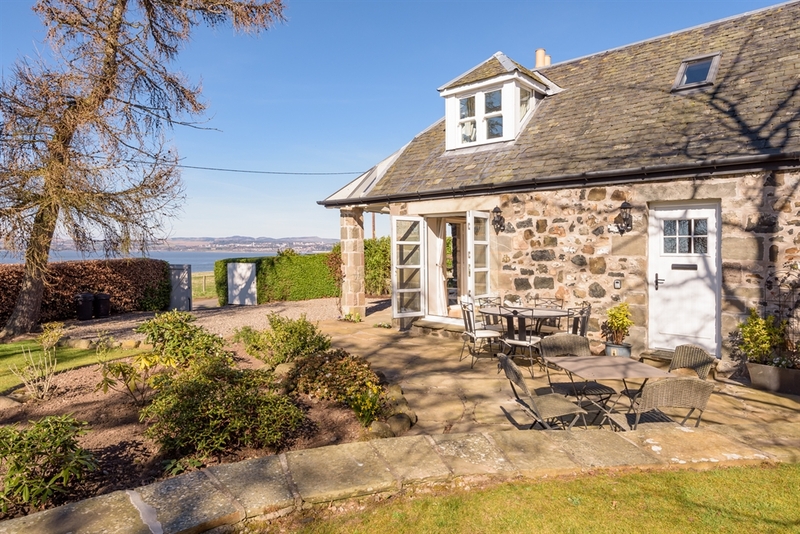 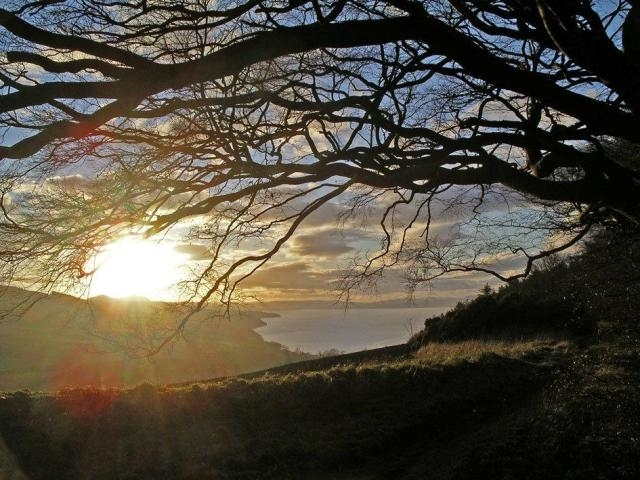 Kirkton of Balmerino is an excellent base for touring, being only 15 minutes from the main motorway network. 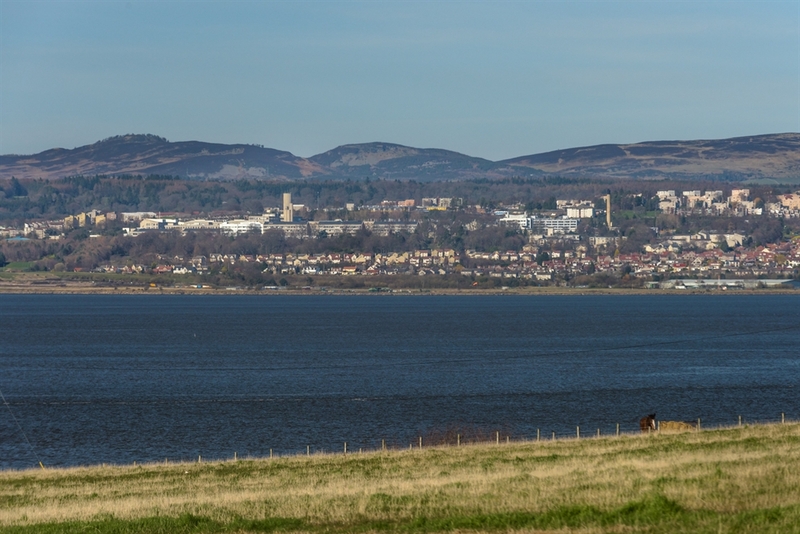 Inter-city services to Perth, Dundee, Ladybank, Cupar or Leuchars, thereafter by local bus or taxi. 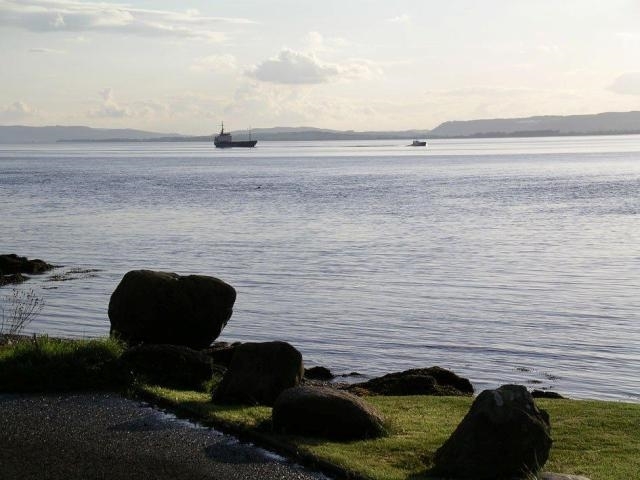 Flights to Edinburgh, Glasgow, Prestwick or Dundee. 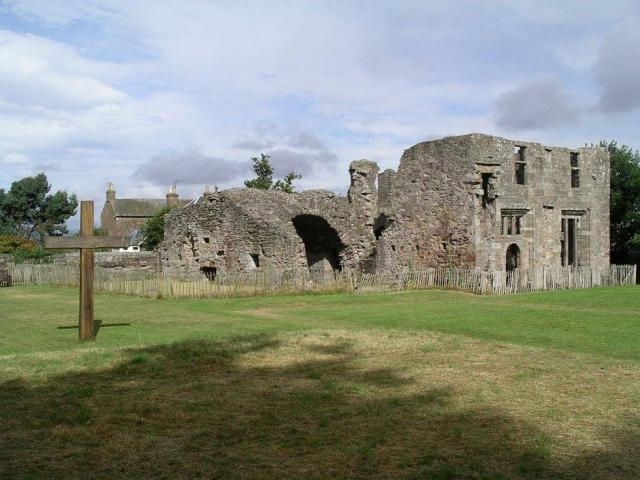 Thereafter via the rail/bus network, local bus or taxi. 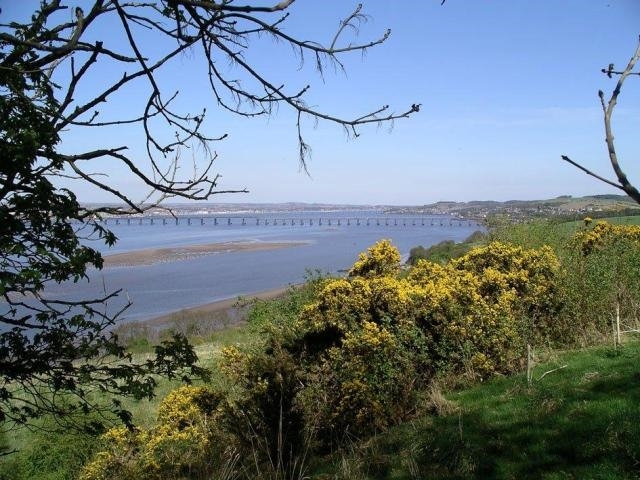 Exit the new Superfast Ferry Terminal, Rosyth, follow the motorway signs, and join the M90 (Northbound) at Junction 1. 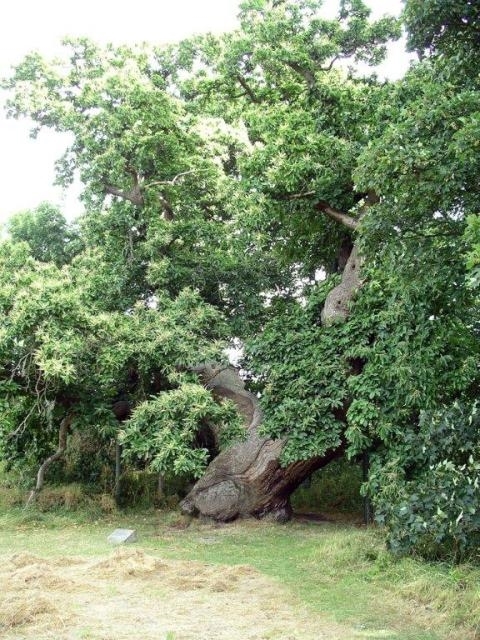 Thereafter, observe the 'By Road' instructions above.